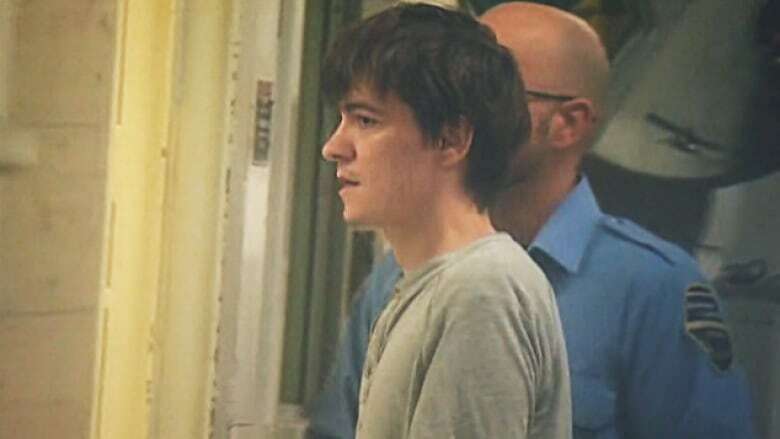 A Crown prosecutor has charged Alexandre Bissonnette with an additional charge of attempted murder that applies collectively includes 35 people who witnessed the shooting. A Crown prosecutor has added a new charge of attempted murder to the list of charges against Alexandre Bissonnette in connection to the Quebec City mosque shooting. The new charge collectively includes 35 people — 31 men and four children — who witnessed the shooting that killed six people and wounded 19 others at the Quebec Islamic Cultural Centre on Jan. 29. "It's a charge which includes 35 victims who were physically present with the accused when the events occurred," prosecutor Thomas Jacques said on Monday. With the addition of the new charge, Bissonnette, 27, faces in total six counts of first-degree murder and six counts of attempted murder while using a restricted firearm. The Crown is also proceeding with a direct indictment on all charges, avoiding the preliminary inquiry which would take weeks to prepare. Judge Jean-Louis Lemay had previously reminded Crown and defence lawyers in the case to be mindful of delays in order to avoid having the case tossed out due to excessive delays. Bissonnette is due back in court Dec. 11, when a trial date could be set. At Monday's court appearance, four widows of the shooting victims and one of the men who was shot and survived were present. One of the widows wept openly and the others fell into tears minutes after the court appearance. Mosque co-founder Boufeldja Benabdallah said it was painful for the widows to be present, but that they wanted to be there. He said it helps them to know the trial will begin sooner without a preliminary inquiry. He says they are anxious for the court procedures to be over. "They want people to stop telling them this is the act of a crazy person or a psychopath," Benabdallah told reporters. "This was a deliberate act which took aim at a community." 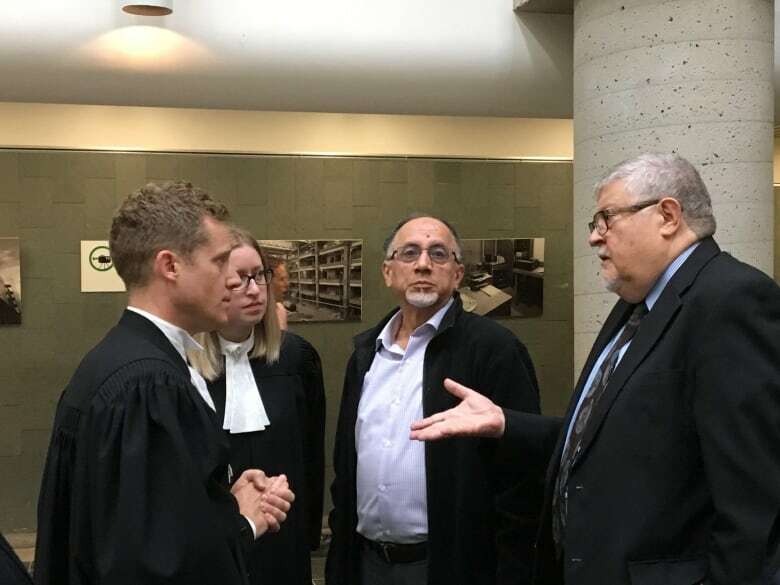 Rachid Raffa, a former president of the Quebec Islamic Cultural Centre, spoke with prosecutor Thomas Jacques after the hearing on Monday. He was also able to speak with the RCMP investigators on the case. Raffa told CBC news he is "disgusted" there are no terrorism charges against Bissonnette. "The fact that he has killed for religious reasons is an act of terrorism, and that doesn't seem to be taken into account," Raffa said. "To call this a hate crime is not enough." 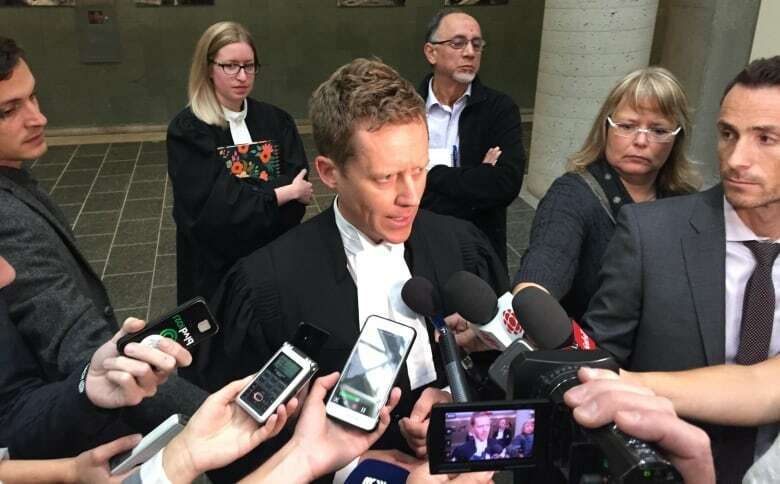 Asked about the possibility of terrorism charges, Jacques, the Crown prosecutor, said that murder is considered the "most serious crime" in the Criminal Code.